The Beyoglu/Taksim area is my favourite neighbourhood in Istanbul. I love Sultanahmet for ease of access to Istanbul’s most famous sights and museums but when it comes to life and nightlife, I really enjoyed being on the other side of the Golden Horn. Barry and I were lucky enough to stay at the Witt Istanbul, a funky studio apartment style hotel 10 minutes walk downhill from busy Taksim Square. It was also less than a five minute walk to the tram stop at the bottom of the hill but instead of taking the rails across to Sultanahmet I strolled across Galata bridge, walking among the fishermen and arrived at Topkapi Palace within about 30 minutes (I had been eating lots of baklava after all). The directions for getting in to the city from either airport or bus stations are very clear. Thanks to an excellent online magazine, I had no trouble planning my stay. The writers go to great lengths to provide useful information from fun things to see and do to practicalities like banking, exchange rates, directions and travel around Istanbul and Turkey. I appreciate the time the writer’s take to respond to the many queries generated by their articles. 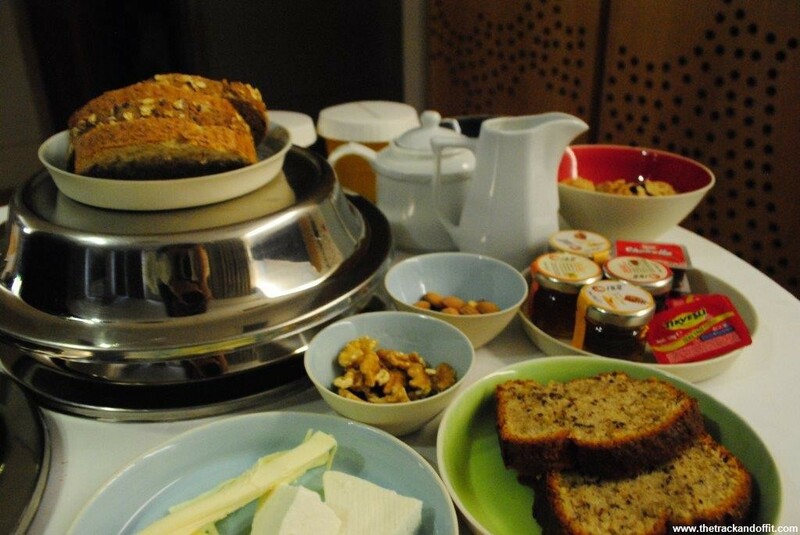 Our arrival at Witt Istanbul set up our stay very nicely. 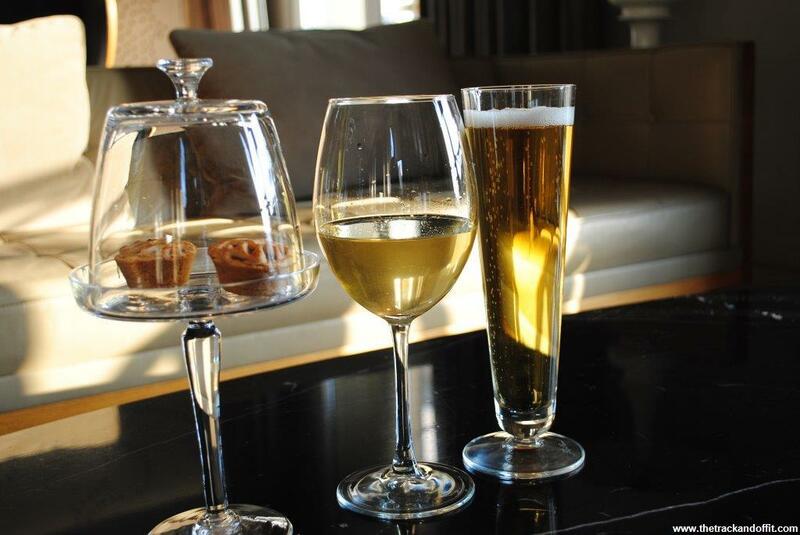 Our welcome drink of beer and wine was delivered to our room. This was a nice touch, letting us drop our bags, take off our jackets and sip our drinks from the French Balcony, taking in the views from Room 32. Having been in Istanbul in November, I had taken in a lot of the sights so allowed myself plenty of time to enjoy being in Beyoglu and the Witt Istanbul. Our room was more akin to a studio apartment than a hotel room, very spacious with a bedroom, lounge and kitchen area. The groovy, minimalist retro styling was appealing. 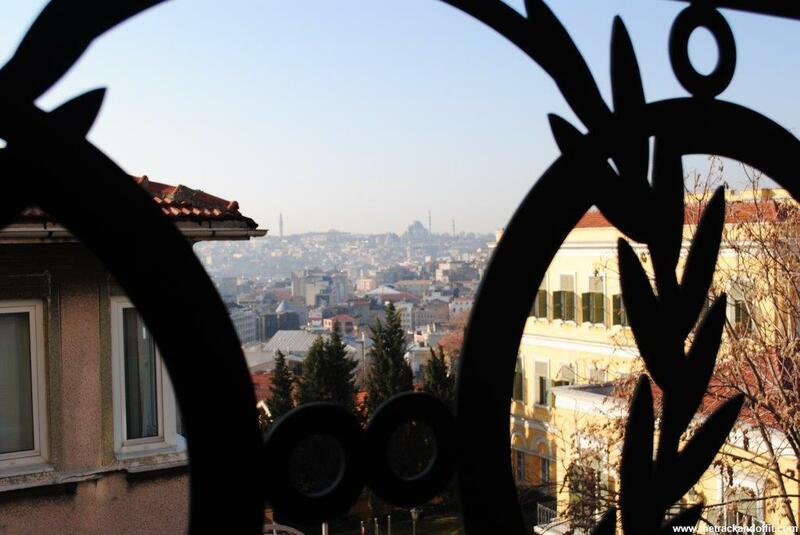 I enjoyed sitting in my rocking chair, looking at the awesome views of Istanbul’s skyline. 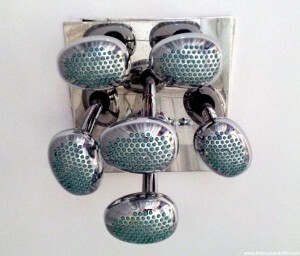 The marble clad bathroom with it’s large shower stall and six showerheads provided the best shower Barry had had all week. 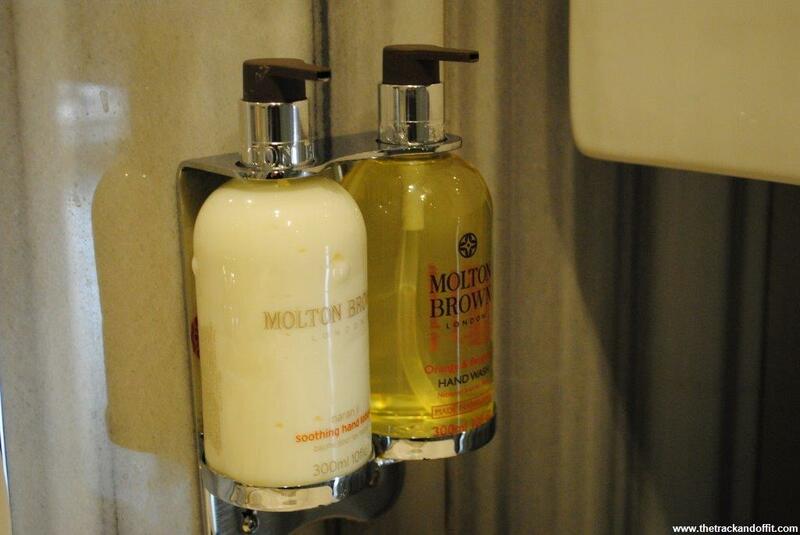 I particularly liked the touch of Molton Brown toiletries. The water in Turkey can make my skin dry but the body lotion kept me velvety smooth. 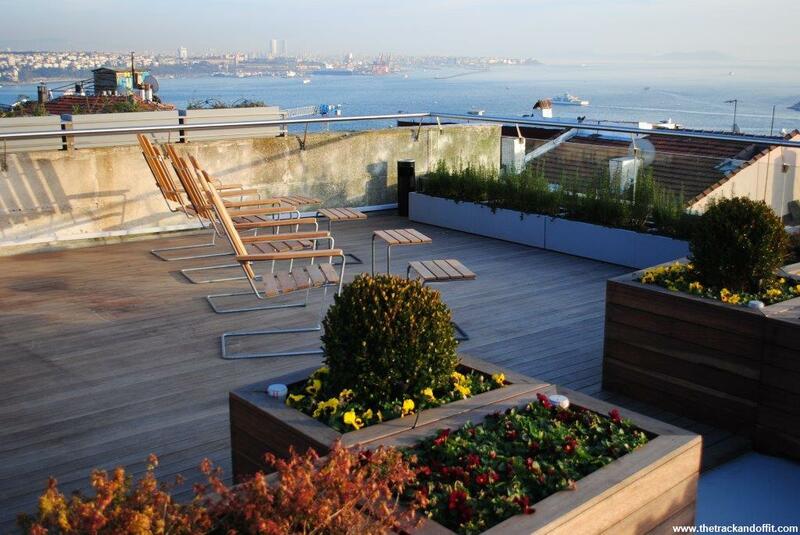 The views from the rooftop garden were even more spectacular than from Room 32. 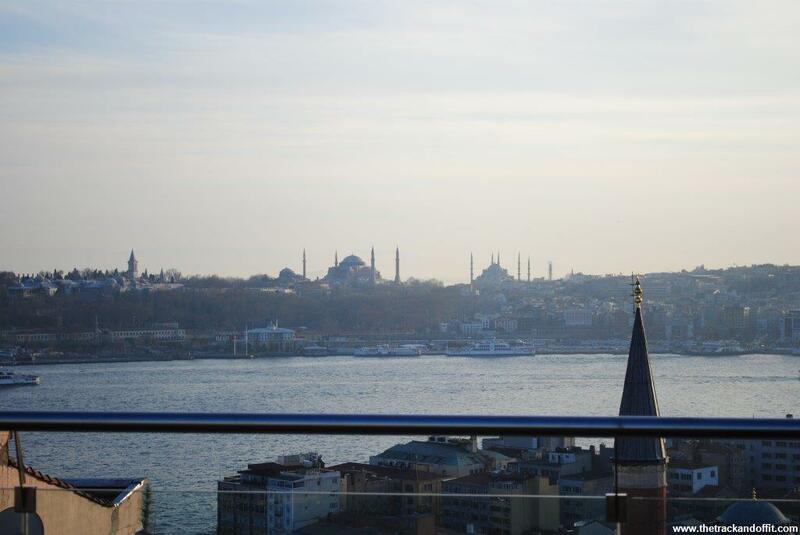 We could see mosques, Galata Tower, the buildings across the Golden Horn and across to the Bosphorous on the other side. 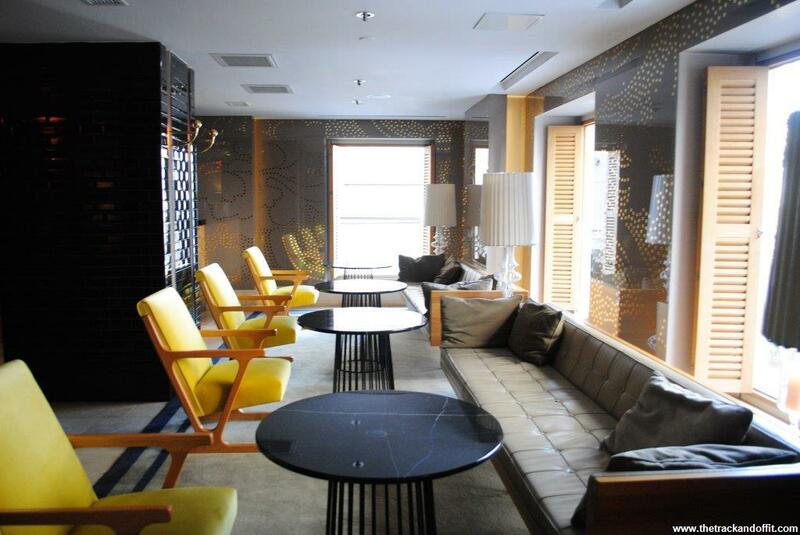 A 1:1 employee/room ratio meant we received excellent service in the hotel. Plus there are so many appealing cafes and restaurants in the area it’s hard to know which to choose. We were recommended a lovely, well priced restaurant which served up organic local dishes. Arriving back into our room that evening revealed a healthy turndown service. Our curtains were closed ready for sleeping and there was an apple on each pillow. The good food continued the next day with breakfast delivered to our room. There’s also a buffet breakfast supplied downstairs but I enjoyed the luxury of breakfast in bed and there was enough choice on our trolley to keep me happy. Breakfast is also organic or chemical free, making me feel very looked after. Our short stay in Beyoglu, and the Witt Istanbul, was not enough – next time we’ll come for a month! 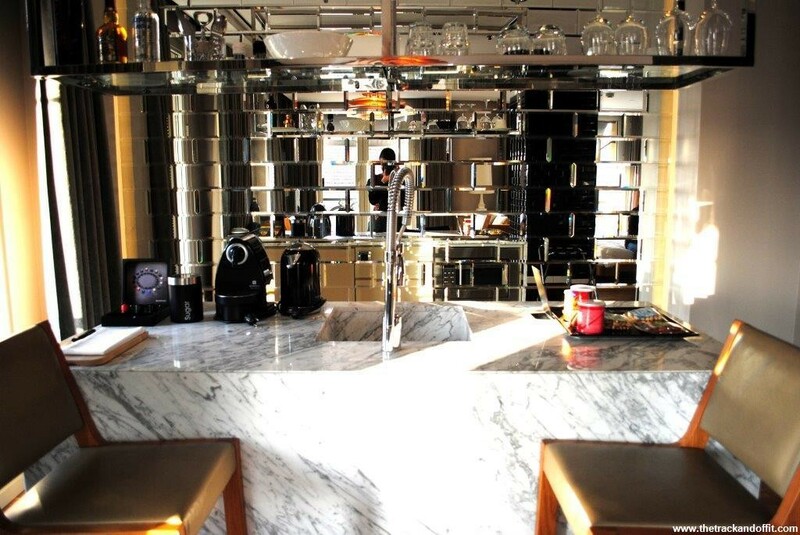 This entry was posted in Hotels, My Travels and tagged Turkey by Simone. Bookmark the permalink.